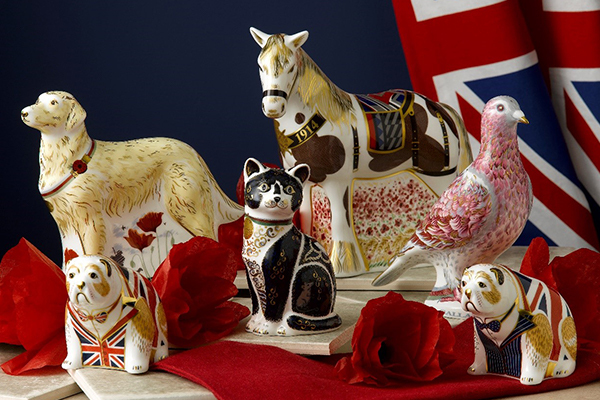 Blog - Royal Crown Derby Remembers. In the United Kingdom and many countries worldwide, November is a time for remembrance and commemoration of the many lives lost during the World Wars. 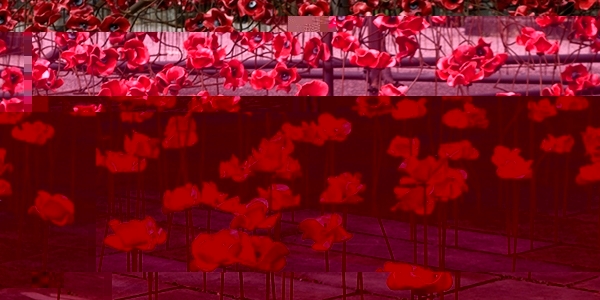 To mark this time of reflection we look to our World War Remembrance collection in honour. A fitting tribute to the fallen heroes during the World Wars, including the loyal working companions from the animal kingdom who supported the servicemen and also lost their lives. 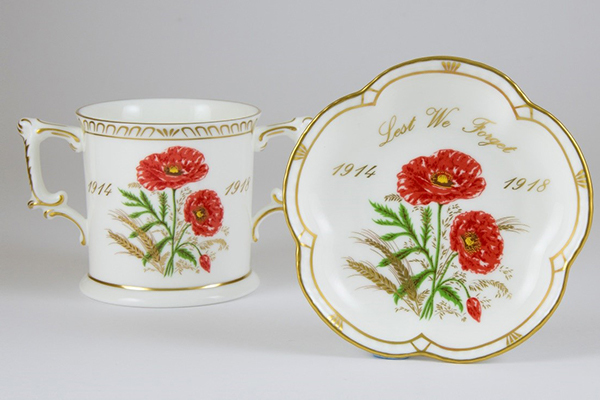 The World War I Five Petal Tray and Loving Cup has decorative design showing two ears of corn and a red poppy pattern including the "Lest We Forget" message, including the dates 1914 ~ 1918. Each piece is a fitting acknowledgement to the sacrifice given by many during wartime. Explore the full Commemorative Collection by clicking here. 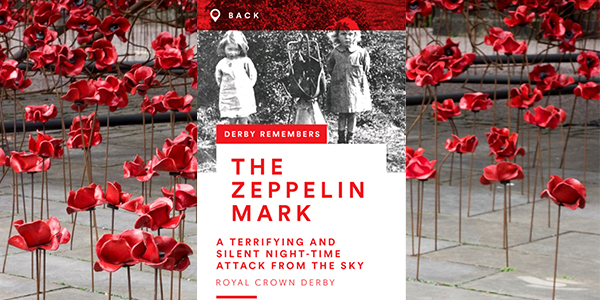 In conjunction with the Weeping Window display which came to Derby Silk MIll earlier this year, Royal Crown Derby has collaborated with local business partners to create the Derby Remembers Digital Trail. The free to download digital trail is an app for smartphones and tablets designed to give a walking tour of the city centre, featuring eleven monuments and stories of Derby and its residents during the First World War. The Trail covers significant historical and cultural sites in Derby – including The Silk Mill, Déda, Derby Cathedral, Derby Museum & Art Gallery, QUAD and Royal Crown Derby. To get the app for iOS devices on the App Store, click here. To get the app for Android phones, click here.